The sinister Tory billboards are back with a vengeance, and so are their online alter-egos. The current posters are coming in for a bit of flack for attacking a Labour policy that isn’t actually a Labour policy. 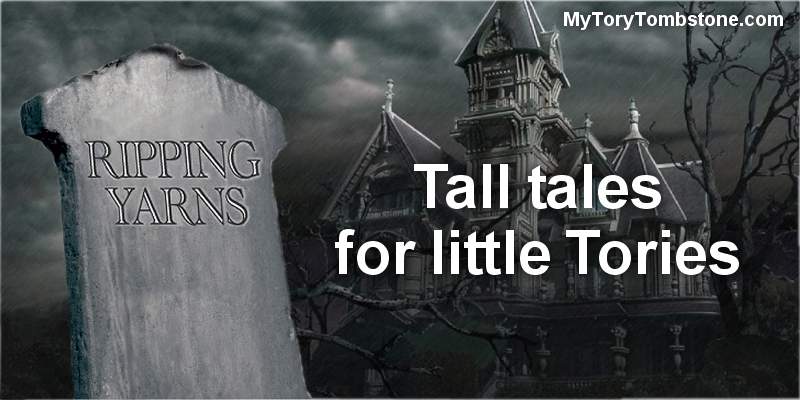 Still, it’s a nice scary picture, so MyDavidCameron.com has morphed into MyToryTombstone.com, with some very funny takes on the dramatic picture and the message gaffe. Here’s my own contribution to the fun (click for bigger).